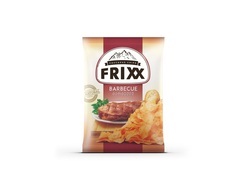 As a new company it is not surprising that Frixx have gone for a modern, yet plain and highly visible logo. Beneath the logo is a wide flavour colour coded strip denoting the contents. The All Natural badge is neatly placed to the side and the main body image is a pile of Chips with photographic evidence, as it were, of the contents. While there is nothing original about this design it is introducing a new product to a new market and addresses the similar design of its only realistic competitor, Lays. A relatively feeble Crunch, despite the rigidity of the Chips: The additional thickness failing to address the crack required for a memorable Crunch experience. These Chips appeared to be a little bendier and curlier than the Classic flavour. And they also featured more character, by way of a dusting of dark coloured seasoning powder. Still not many oil blisters though. 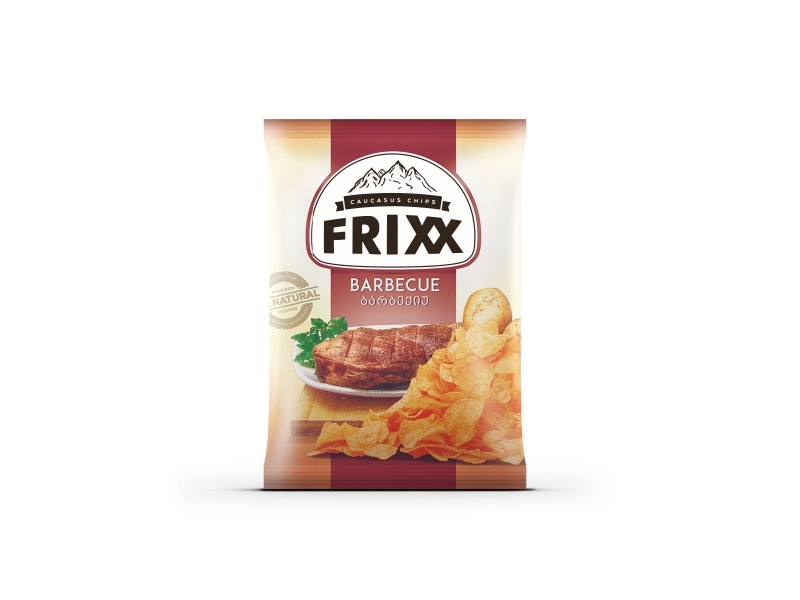 Of the three flavours tested, this variety of Frixx Chips, was undoubtedly the most enjoyable. There myriad of American options for Barbecue flavour allows for a significant variations in flavour, but this was a fairly bland and generic – if still tasty, experience.